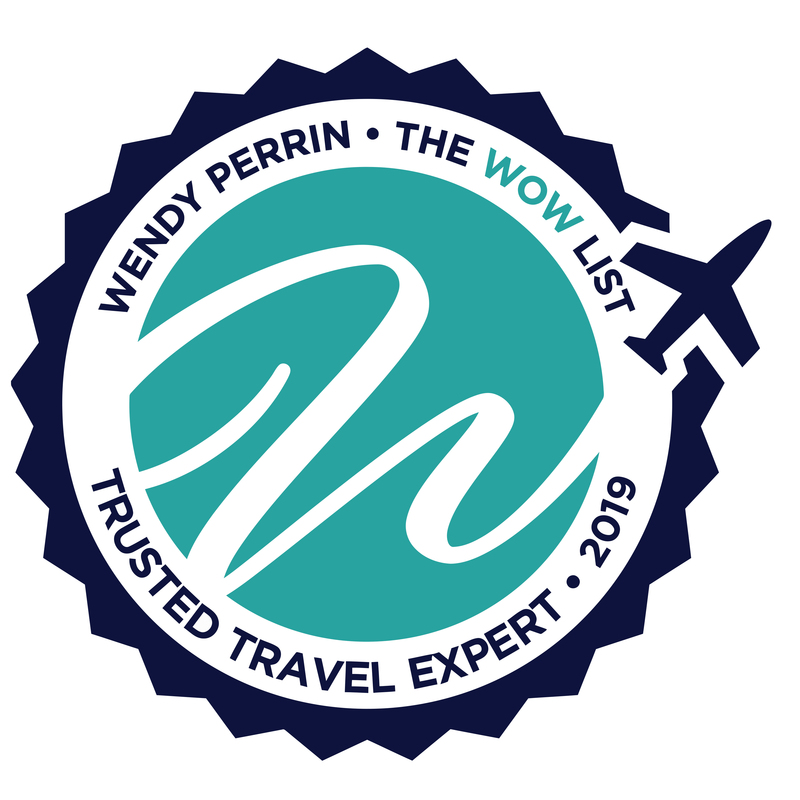 Miguel Cunat is on Wendy’s WOW List of Trusted Travel Experts for his expertise and connections in Sri Lanka. The reviews below are from real travelers who’ve taken trips that were arranged by Miguel and monitored by Wendy. Don’t miss Miguel’s Insider’s Guide to Sri Lanka. Excellent trip! Well planned – much to do but a terrific experience. detail on trip time to excursions would have been helpful. guide was excellent and the varied experiences were great memories. We never could have had the experience we did with out a travel specialist. A wide variety of activities were planned from safaris, visiting tea plantations, temples etc. We traveled to Sri Lanka for two weeks. The trip was fabulous. A wide variety of activities were planned from safaris, visiting tea plantations, temples etc. Loved it. A couple small areas that may have been improved: Our last day at Wild Tented Safaris we checked out at noon and then had a lot of time before our 2:45 am flight. Arrangements could have been made for a delayed checkout even if there was an additional charge. More time at Tea Trails! Such a fabulous resort. During the planning it was sometimes a challenge for email communication since Sri Lanka is 13.5 hours ahead of us. BUT….well worth the challenge. My wife and I travelled around Sri Lanka for 2 weeks in January. We found the country absolutely lovely with a large variety of experiences available to sample. We enjoyed our visit to Kandy and had an amazing botanist guide us around the Botanical Garden in Kandy. We stayed at the Ulagalla Resort in Anuradhapura and the game drive to see elephants in Minnesota National Park as well as the resort itself were outstanding. We found the number of steps required to visit both the Sigiriya Rock Forteress and Dambulla Cave Temples to be too much even though we consider ourselves in god shape. We spent 3 days in Tea Country at the Tea Trails properties and we found this area to be spectacular and the 2 plantation homes to be outstanding. We proceeded to Yala by plane (which we recommend in spite of cost) and loved the Chena Huts resort and the staff and naturalists there. Well worth a visit for 3 days. We spend 3 days in Galle Fort following this which was our only disappointment. We stayed at Galle Fort Hotel which was not up to a high standard and 3 days in this area was too long. We drove on to Columbo for our final day and night and found Columbo worth the visit and might have preferred an additional day there and one less day in Galle. Overall we loved Sri Lanka. Our driver/guide was very professional throughout the trip and we always felt safe and in knowledgeable hands. There is a wide range of activities in this country so its important to carefully consider you desires when planning the itinerary. With some minor exceptions, we were happy with the planning and execution of our trip with Miguel’s team and would not hesitate to recommend them. Miguel is especially knowledgeable because he lives in Sri Lanka, plus he understood our desire for luxe lodgings with local flavor and immersive experiences. We spent an hour on the phone to establish what we wanted, and he and his team came up with an itinerary that we jiggered a bit to meet our needs. During the trip, when our first lodging put us in the worst room close to the reception after we had asked for quiet accommodation to sleep off jet lag, I had to push hard to be moved. After I informed Miguel’s agency, one of his colleagues called every hotel we were to visit and assured us of quiet digs (and we got at least two upgrades). From the start, Miguel offered us a complimentary dinner. Most importantly, I asked for an amiable and knowledgeable driver/guide and we got someone whom everyone said was tops. He was. It was a superb trip, though in retrospect I should have made the time to do more advanced research to know that we could have taken a curry cooking class and to find out recommendations for best spas or more elephant viewing. That’s my fault. Also, we thought we would be dealing solely with Miguel and instead were passed on to an associate, Rozanne, who did a good job but did not seem as knowledgeable as he is. Miguel was available for follow-up questions, such as tipping our driver, but I would have liked to have known up front that he would not be our main point of contact. Every other WOW specialist was the only person I dealt with even if they had assistants working on our trip. But altogether it was a fantastic trip and I think he is very good. Not having to think about the itinerary, timing, schedule, etc is a luxury in itself! Miguel and his team (specifically our consultant, Shalini) did an amazing job planning our honeymoon to Sri Lanka and the Maldives. We provided them a rough idea of what we were looking for (combination of relaxation, adventure, culture, food, and luxury) and they put together an outstanding trip. Neither of us had used a travel planner before, so we did not know what to expect. We both were extremely pleased with the level of organization and thought that went into planning a perfect trip. Not having to think about the itinerary, timing, schedule, etc is a luxury in itself! We simply were told when to show up and where and then went along for the ride! Miguel and his team were also extremely helpful in arranging our accommodation in the Maldives- even negotiating an upgrade to half-board. I highly recommend working with Miguel and his team! I am not sure if reviewing a country is appropriate here, but I cannot resist! Sri Lanka, for those that are considering, is a special country that blew us away. It is amazing how so much history, culture, and diverse scenery fit into one tiny island. The people and food (food!!) were also a delight. We traveled the end of September through the first week of October which was considered “shoulder season.” We had AMAZING weather that was not too hot/humid and only experienced a spot shower or two. The crowds were light, so we never felt like cattle call through the sites. I cannot recommend visiting this nation enough… especially before more catch on to its charm! We worked with Miguel and his team to plan our two-week honeymoon and it was fabulous! We went in May-June 2017 right after our wedding, which was a bit tiring but also fun! Miguel and his team worked with us based on our interests and preferences for this trip to plan a wonderful and romantic honeymoon trip! They told every hotel we stayed at that it was our honeymoon and made sure they did something special for us. Our guide was so knowledgeable, friendly, and professional. We learned so much from him and he made sure that we loved our trip by altering things as needed along the way. We flew into Colombo and stayed overnight. Then we helicoptered (so cool- great way to travel in Sri Lanka!) went to Polonnaruwa, which was beautiful, hot, and exhausting on our first day. In the afternoon, we visited the MUST SEE Sigiriya Rock Fortress. Going at the end of the day was great because it was almost empty and not so hot. The views here are stunning. I wish we had planned a more low-key first day, but we made it fun anyways. Our hotel (the Water Gardens) was so fabulous, but we didn’t have time to enjoy it so I wish we had had one more day there. Then we took the train to Hatton in the hill country, which was beautiful and relaxing. We stayed here probably too long, given that were young and active people. There was very bad weather and massive flooding around the country though so it was probably good we were up in the already wet mountains. We did a great tea plantation tour, and eat great food! Then we helicoptered down to Yala National Park, which was so cool! Chena Huts was stunning, and their guide was THE BEST in the park- we saw elephants, leopards, and more! I wish we had stayed here another day as well. Then we drove to Tangalle and had 5 relaxing and romantic days on the beach at the Anantara Hotel- beautiful property! Then on to Galle, a historic colonial town. We had a great tour arranged by Miguel and his team around the quaint city and stayed at the lovely Aman Resort. Our final day was in Colombo, where we shopped and ate at the Ministry of Crab- a MUST EAT restaurant! Overall we had a fabulous trip! When planning, be clear with them about what you want but also listen to their advice because they probably know the length of time and travel logistics better than you! GREAT TRIP! Working with Miguel and Nuwani on his team was a great experience. They were very flexible with some of our plans for our trip and were very honest and communicative. Miguel and his team put together an exceptional trip for our family in Sri Lanka, especially as it was a last minute decision for us to go. He really went above and beyond to get everything in order and address the unique issues of traveling with three very small children. Make sure you engage with Miguel and his team. They are easy to talk to and responsive and we went through several iterations of the itinerary as we made changes. The result was a trip that was the perfect mix of activities – multiple safaris, cultural activities, beach time, etc. Miguel and Rozanne planned an extraordinary trip for us from beginning to end. The itinerary was a busy one and that is just what we wanted – it is a long way to come from North America and we wanted to experience all we could culturally and get to know this beautiful island paradise. We saw so much beautiful scenery, had wonderful hikes, beach time, ate the most delicious exotic food and travelled from Jaffna in the north- everything in between and down to the south coast. Sri Lanka offers so much in so many ways but it takes a skilled travel planner to present an itinerary that will take full advantage of this diversity and give an extraordinary experience. We were the lucky recipients. The communication from the start, during and end was of the highest standard – we even met Rozanne at the beginning of the trip when we arrived at Colombo airport and Miguel Cunat arranged to have contact with us at the Gallery Cafe in Columbo at the end of our trip which was impressive given these people are tremendously busy but we greatly appreciated their efforts. We had National guide Ananda and driver Sampa with us for the entire 29 days and their services were professional at all times – in fact their service to us was nothing short of amazing. There were so many details and logistics that were handled daily by Ananda which kept us travelling in style all the way to the end of our trip. We had many very long days travelling all together and it was always apparent that our pleasure and enjoyment was top of mind for them. There were many special touches along the way and I know these things don’t just happen – they are crafted by a travel planner who really goes the extra mile and we would not hesitate to recommend Miguel Cunat and his team. We have returned home to Canada with wonderful memories! Our 15 day trip to Sri Lanka with Miguel Cunat and his team at Sri Lanka in Style was just extraordinary. Through the back and forth of the planning process, Miguel and his team got to know our interests and tastes, and put together an itinerary that perfectly met our needs (a blend of active/cultural, quirky historical hotels etc etc). But what was really extraordinary was the thoughtfulness and attention while we were in Sri Lanka – every aspect of the itinerary worked like clockwork, there was perfect coordination between our driver/guide, the Sri Lanka in Style customer care folks, local guides, and hotels. This manifested itself in little things like our food preferences (local and spicy!) being known before arrival and our favorite sodas being stocked in our rooms, to bigger things like a “surprise” lunch in a location wed mentioned seeing in a favorite music video, to quite important things, like a last minute change of accommodation (during tight high season no less), when one of us became sick for 24 hours and needed to be moved from our tented safari camp to blander surroundings with a/c and medical access. I want to go to back to Sri Lanka and will definitely book with Miguel and his team at Sri Lanka in Style. Another seamless WOW list experience! We loved our shore excursion in Colombo. The guide was great, and lunch was fabulous. I have no complaints with our day. The only thing that could be improved on is the lag time in emails in the planning, but I’ve mentioned that before. I’m sure Miguel’s staff is very busy. I would recommend them. Miguel Cunat and Imran created the perfect Sri Lankan itinerary for our needs. We don’t tend to use travel agents as we often feel they don’t understand the type of experience we are looking for. This was not the case with Miguel and Imran who listened to what we wanted to do and created an interesting and perfectly paced itinerary for us that we would never have been able to put together ourselves. Sri Lanka was fabulous and so many experiences were wonderful however the highlights for us would be the Leopard Trails safari where the staff are so passionate about the work they do and their country that it is a joy to spend time with them, the Colombo City Walk with Mark Forbes brings to life the history of Colombo and the future of this city, Cape Weligama for a peaceful place to enjoy the beauty of the coastline and to experience wonderful food. We highly recommend taking advantage of Miguel and Imrans experience and passion for Sri Lanka as they created a wonderful itinerary for us and everything went smoothly and it was clear behind the scenes they were checking that everything was ready for our arrival, that we were settled & that everything was going to plan. Our trip to Sri Lanka planned by Dilanke Panagoda, Miguel Cunat’s travel consultant at Sri Lanka in Style, was absolutely terrific. Sri Lanka was beautiful and interesting. Working with Dilanke was a pleasure. He was very responsive and his attention to detail was excellent. The trip he set up was exactly what we were looking for .. lots of interesting and unique experiences. There are not enough words to describe the wonderful service we received from Miguel and his staff in Sri Lanka. Having volunteered in Galle for a week, we were met by our driver/guide and had the most extraordinary two-week adventure. We had a general idea of what we wanted to see and Miguel helped to refine it. He generously gave me all the time I needed to ask questions/speak on the phone/alter plans. The results were PERFECT!